Every one of us envies a flawless fair skin and desperately craves for one. No matter how hard you try to get rid of blemishes, marks, freckles, and spots on your skin, at some point or the other it does occur and you get disappointed. But this should not be a major issue with the bast fairness cream market in India. Today, there is different fairness enhancing product for different skin types. Though, it does not claim to give you a snow-white complexion overnight, they do bring change to your skin tone to a great extent. 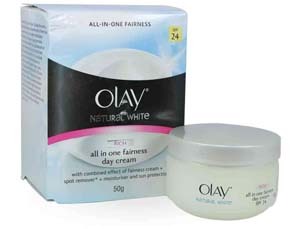 Olay Natural White Night Cream is one of the leading fairness products in the Indian market. Suitable for all skin types it improves skin tone and gets rid of blemishes and freckles. The fairness cream leaves a feather soft sensation after application. 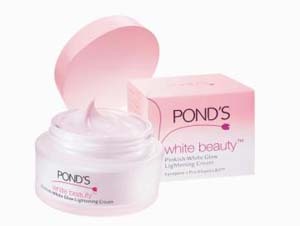 Pond’s White Beauty is a well known name in the market. The cream whitens your skin tone and also neutralizes various darkening agents on the skin. It is a total repair skin cream available at a reasonable price in the market. Perfect Transparent from L’Oreal Paris is another reputed name in the fairness market. The SPF 15 content protects against harmful Ultra Violet rays and gives a radiant glowing skin. It nourishes and keeps your skin moisturized all day long. 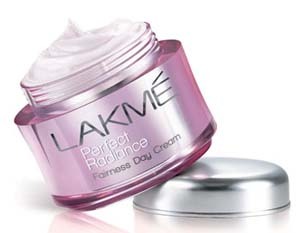 Lakme Perfect Radiance is enriched with the goodness of White Lotus and Sacred Lily to give a flawless skin tone. This best skin brightening cream cleanses your skin from within. It gives micro-circulation to make your skin radiant with each passing day. 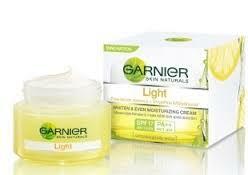 Garnier Light is a product from the famous cosmetic brand, L’Oréal. This fairness and dark spots prevention cream provide instant glow. The multi-targeted action within protects the fairness and radiance of your skin. Clean and Clear has been around for a long time in the Indian market. 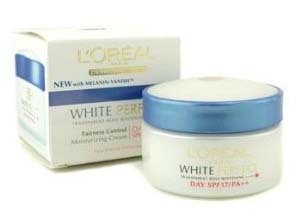 Most effective skin whitening brand provides a breakthrough formula for fairer skin. The goodness of cherry extract and multivitamins protects the skin from UV rays. 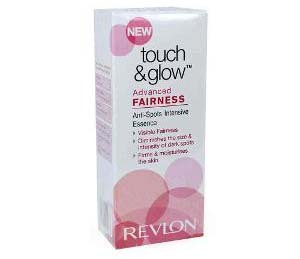 Advanced Fairness Cream from Revlon has the charm of a mattifying formula that works miracles on oily skin. This effective skin brightening cream is totally oil free and the anti spot formula reduces spots. It makes skin noticeably fairer, smooth and beautiful. 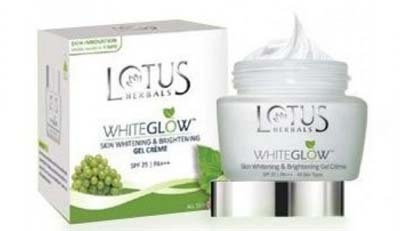 Lotus Herbals White is another popular skin brightening brand in the Indian market. It is suitable for oily skin as the consistency of the lotion gets absorbed by the skin quickly. It makes skin noticeably fairer with its good SPF level. Overnight Peeling Fairness Cream from Garnier is quite effective on Indian skin tone. This skin nourishing cream is enriched with the goodness of Vitamin C and fruit extracts that fades away dark spots and skin pigmentation. 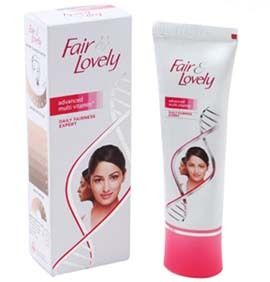 Fair and Lovely Multi Vitamin is one of the most nourishing skin care beauty cream available in the Indian market. Its multivitamin formula is foolproof. However, its only disadvantage is that it turns the skin greasy post application. 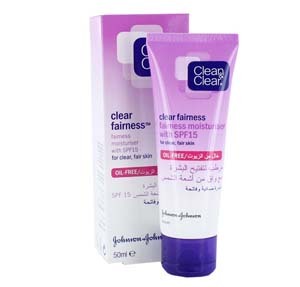 i am using one cream which is called savory fairness cream. quite satisfied with the product. the smell is also ok. had lot of pimple marks on my face, this cream has removed those dark marks. its very dificult to have marks on your face and go out to meet friends and even college. ooof. I dont know whether fairness cream really work. these products have been in the market for many years and doesnt have seen anyone becoming white from black. but i think to some extent they do brighten you up. ayurvedic and herbal cream will be good when compared with cosmetic which contain chemicals. try savory fairness cream, boutique cream, l.oreal, astraberry, etc. Dear ArchanaPls tell me how can I get this cream in UAE? I think Touch Fairness Cream also work good. i was using it from 4months..
i do understand our society ads comics n stories hve always glorified the white and wanting to be fair it thus a very natural consequence. Plz tell me the best fairness cream name….I do need it. yess mamta i need ayurvedic fairness cream. hi! my name is hira.i m from pakistan.i have soo much sensitive skin i have used soo many products but all were useless.please inform me that what should i do to get fairer.i have no pimple problem but i want to get fair. I can do every thing for this……. is ROOP MANTRA a good cream for whitening?